Browse content similar to Series 23. Check below for episodes and series from the same categories and more! 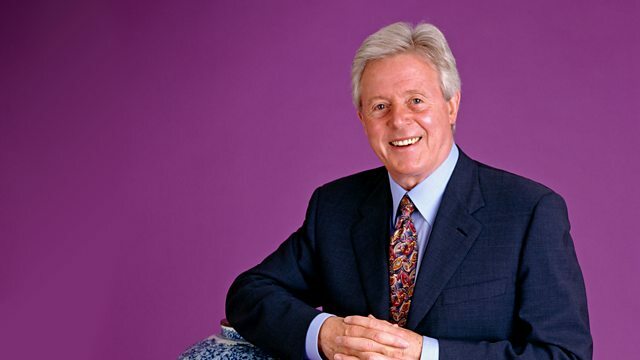 Michael Aspel presents his first Antiques Roadshow from the Victoria and Albert Museum. A visit to Barnstaple in North Devon turns up an important enamel miniature by Henry Bone. Finds include a rare 18th-century Wedgwood egg scrambler in Biddulph. Michael Aspel and the experts find a posy ring with a macabre story at Glamis Castle. Michael Aspel recounts stories of the Queen Mother's early life at Glamis Castle. Items of interest in this edition include a signed Beatrix Potter book. Featuring a valuable vase, a Martinware bird and a collection of royal memorabilia. Featured items include an unusual medal and a rare salt-glazed mug. Featured items include a mammoth teapot and a gruesome 18th-century mourning ring. Items featured include a marine chronometer and a diamond brooch. This edition comes from Knebworth House in Hertfordshire. Items examined include a Victorian painting, a telescope, and a 19th-century wooden ark. Featuring jewellery found in a rubbish dump and an original sketch by Stanley Spencer. Items featured include a lady's bureau and a silver cruet set. Featured items include a valuable painting on an asbestos tile. In Salford, items include Victorian photographs and Zulu wedding beads. Finds at Eastnor Castle include a World War I pack with a bullet lodged in it. The team returns to Eastnor Castle in Herefordshire. Exciting finds in Eston iclude a sculpted elephant by Eduardo Paolozzi and a 1930s robot. Among the items in Melksham are a Cossack dagger and a drawing by Edmund Dulac. Finds include a 17th-century lantern clock, a jade necklace and a bleeding bowl.